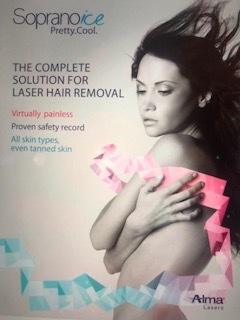 Alma Lasers™ has created a new technology that revolutionizes the way doctors and patients around the world see laser hair removal. 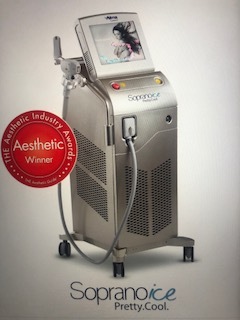 Winning The Aesthetic Industry Award for 2015, The Soprano XL™ was featured on “The Doctors” for being a groundbreaking, pain-free solution for permanent hair removal, and our specialists at Allure De Vie are proud to bring you this remarkable technology for a price you’ll love. When discussing any hair removal process, it is important to remember how hair grows. Beneath the surface of your skin, you have hundreds of hair follicles that are surrounded by nutrient sacks that allow the hair to grow. Because these follicles are the source of your hair growth, nothing you do on the surface of your skin (like shaving or bleaching) will ever be a permanent solution. Instead, when you shave, you are just cutting off the top portion of your hair, and the follicle beneath is left untouched and fully able to keep doing its job by producing more hair. Laser hair removal is designed to target the hair follicles beneath the surface of the skin using near infrared light. By heating the follicle and the surrounding nutrient sack to 113 degrees Fahrenheit, the laser technology effectively kills the hair at its source, meaning that it has no way to grow back. 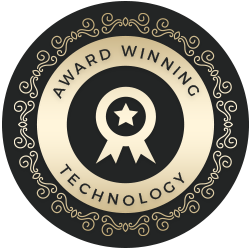 Since 1998, this laser diode has been dermatologists’ first choice for laser skin removal, making it the industry gold standard. In The Soprano, however, this laser delivers high power at 10 pulses per second, making it more effective than its traditional counterparts. With the increased power and repetitions that this laser diode provides, practitioners are able to use it in motion, meaning that we are able to constantly move the laser across the surface of the skin. 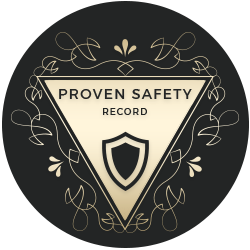 This allows a more uniform delivery, more consistent results, and a pain-free experience for the patient. While the remarkable 113-degree heat that the laser produces is perfect for eliminated hair follicles, it is also quite effective at severely damaging the surface skin cells as well. To make sure the skin is left undamaged, without detracting from the effectiveness the laser has on the follicles, The Soprano is equipped with DuallChill technology, which efficiently cools the skin in such a way that numbing cream is not even necessary. 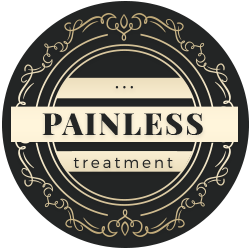 Instead, you are left with an effective, painless appointment and amazing results. Regardless of your skin type and color, The Soprano offers a permanent solution for hair removal that is a level above the rest. We will meet with you before your treatment begins to discuss with you your expectations, your concerns, and any questions you may have. At your appointment, we will shave the hair on your treatment area and apply The Soprano XL. Many patients describe the sensation as relaxing, similar to a hot stone massage, and completely pain-free. 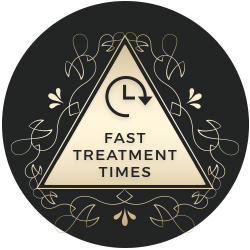 The entire treatment time should be no more than 15 minutes for smaller areas and 30 minutes for larger areas, but it will vary depending on your condition. In addition, depending on how your body reacts to the treatment, we may recommend follow-up appointments. It’s time for you to love your skin again and get the pain-free laser hair removal you deserve. Contact us today to learn more!